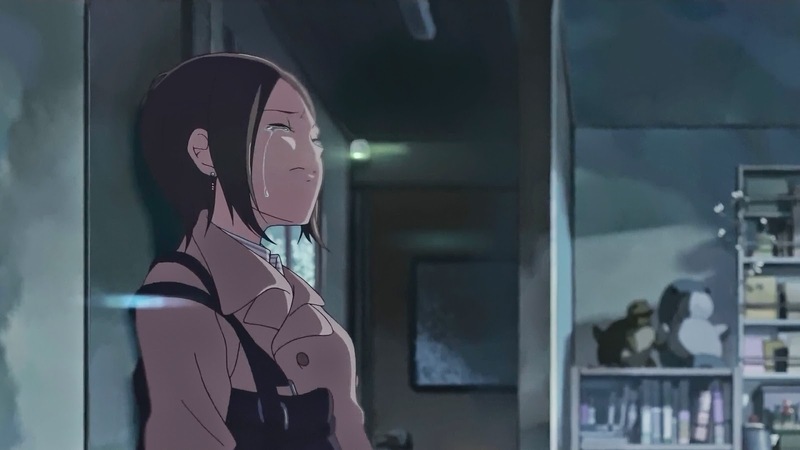 Someone’s Gaze (Dareka no Manazashi), a woozy and emotive hand-drawn animation, is one of the many pieces of art which has helped Makoto Shinkai establish his name in Japanese cinema. Wistful, full of grace and mourning, sewn together with bittersweet melancholy, this contemplative short tale of a father/daughter relationship represents a master class in modern storytelling - a standard Shinkai has set for himself in a short career which has seen him labelled as "The New Miyazaki". Someone's Gaze is a universal story of transience, a meditation on the passing of time and the deep-rooted sorrows which come with such inevitability. The animation features a young woman who leaves her parents' home to live independently. The transition to adulthood, however, comes at a cost - both she and her father face unspeakable loneliness away from each other and, not wanting to cause any trouble, both decide to deal with their day-to-day sadness with unspoken resignation. Growing up and growing old are inescapable patterns of life. Yet, a father and daughter's love for one another can never be extinguished by mere time; such feelings are woven in permanence - not even misplaced teenaged feelings of embarrassment are enough to break such bonds. Shinkai's gorgeously illustrated short, accompanied by a masterfully yearning and mellow score, examines the beauty and devastation of wrinkles forming on our faces and leaves falling from the sky. There's a tranquility and peace that permeates throughout Shinkai's forlorn, yet hopeful, existential narrative that transcends the film from heartbreaking melodrama into a delirious, philosophical, slice-of-life fable. Full of concise, passionate story-telling, Someone's Gaze is a short which is experienced as much as seen, felt as much as observed, and as euphoric as it is devastating. The film is embedded below - it begins roughly thirty seconds in. I agree entirely - thank you for your comment. I thoroughly enjoyed reading your review too and can't wait to see where his career heads next.